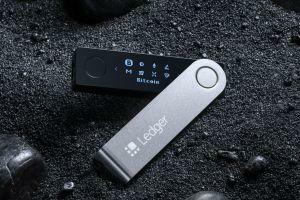 The new hardware wallet, called Ledger Nano X, will reportedly come with support for mobile devices, while replacing the old micro USB cable that was necessary to plug in to validate transactions, with a wireless Bluetooth connection. Together with a mobile version of the Ledger Live app, this will turn the popular cold storage wallet into something that can actually be used on the go, and possibly make it more practical for real-world purchases with cryptocurrency. The new mobile app will reportedly be available later in January. Fortunately, existing Ledger users who do not purchase the new device will still be able to use the app in read-only mode to check their balance of various cryptocurrencies, but will not be able to send crypto from it due to the lack of a Bluetooth connection. “The private keys don’t leave the device, whether you connect via Bluetooth or via USB cable. And even if someone could somehow hack your Bluetooth connection, you still see which address you’re sending coins to on the device’s screen itself,” he said. According to the company, Ledger Nano X supports up to 100 simultaneously-installed apps. It has ten times more available storage space for apps compared to Ledger Nano S, though the number of apps that can be installed depends on the size of the apps. Other than a slightly larger screen, the overall design of the new design looks very similar to the previous generation Ledger wallet, that now retails for EUR 59 (USD 67), or 40% less than in 2018. In terms of pricing, the new Nano X will not be that much more expensive than the initial price of the Nano S when it first came out. The EUR 119 (USD 136) device will become available in March 2019. The company is already accepting pre-orders. In an interview with Cryptonews.com in 2018, Ledger’s CEO said that in 3-5 years, the revenue share of its wallet business is estimated to drop to one third, compared to 95% now. The company intends to extend security solutions to enterprises such as hedge funds and financial institutions, to provide governance in the management of crypto assets. This and other steps, such as IoT (internet of things) related solutions, will help to diversify business and become more resilient to the volatility in the crypto market. The company claims it has sold more than 1 million wallets. Meanwhile, Marek Palatinus, the CEO of SatoshiLabs (and maker of the Trezor hardware wallet, the main competitor of Ledger) told Cryptonews.com in December that the company is working on Lightning Network and Liquid support in Trezor. "Furthermore, we are working on allowing the usage of SD cards with Trezor Model T to protect the encrypted passwords and files of our users. Additionally, security innovations are coming for those who want more – recovery seed splitting for additional safety of funds," he added. Hedger Tech Review: Hedger insurance coin?